Greece is the cradle of Western Civilisation, so it’s no surprise that it’s a popular tourist destination. The perfect weather, golden beaches and cuisine also help. Not to mention the magical Islands surrounding the mainland. 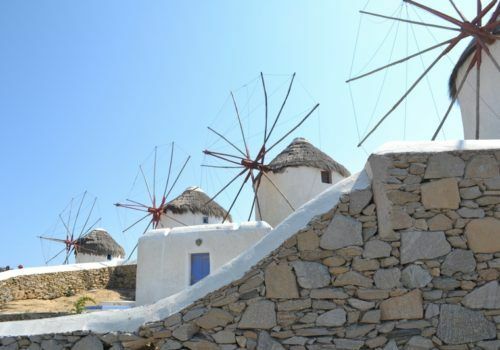 On this trip you’ll get to explore the wonders of Athens, and then do a bit of island hopping – including trips to Santorini, Mykonos and Milos. 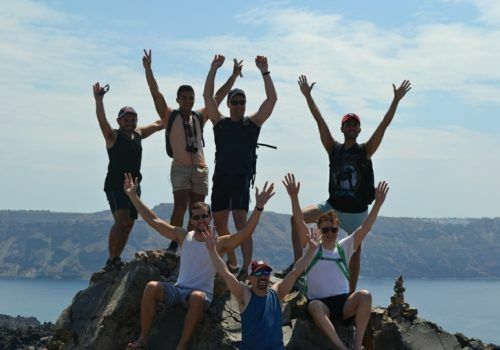 This trip is not based on a strict itinerary so you’ll have plenty of chance to explore, unwind and enjoy Greece with a great group of guys. N.B. The destinations on this trip will not change but Greek ferry times might, so the order of the itinerary could change. 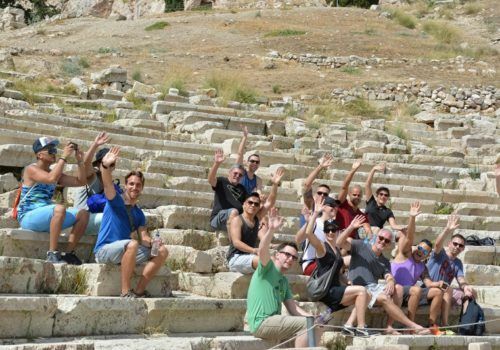 Meet your group in Athens where your adventure will begin. 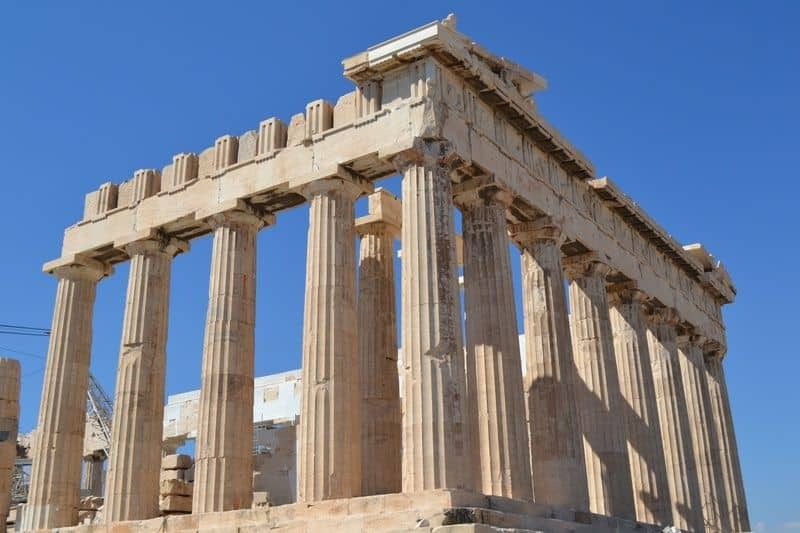 Athens was the great hub of art and philosophy in antiquity, and that legacy endures to this day. This city is a dream for a history buff. We shall visit the Acropolis, a shining citadel on a hill containing the Parthenon, one of the greatest buildings on earth. 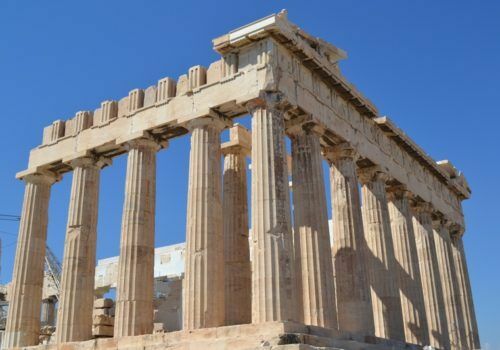 We can also visit the Archeology Museum and see some of the wonders of ancient Greece. Then we have the energy and excitement of modern Athens to enjoy, centred in Gazi – where you can enjoy bustling nightlife. Time to go island hopping. 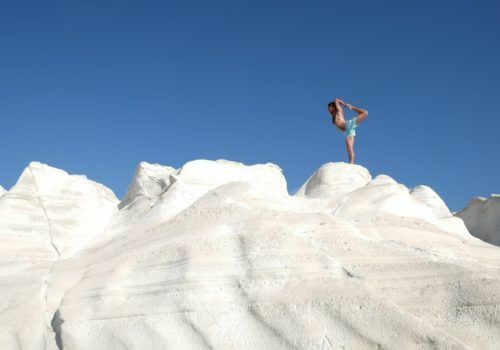 We’ll begin on Milos, one of the lesser known islands but an unforgettable one. Surrounded by stunning beaches, ancient ruins friendly locals, this is an undiscovered corner of paradise. Our favourite Greek Mama is a local who will tell us about her island. 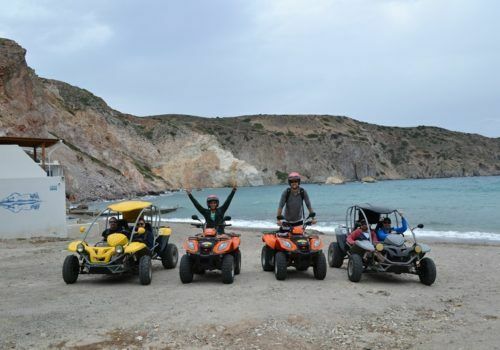 We’ll take you for a tour of the island in an ATV vehicle. You’ll be free to soak up the sun on the beach whenever you want. 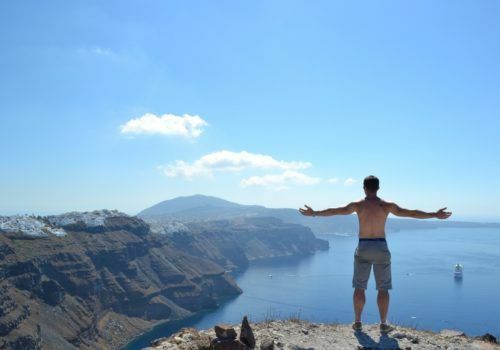 We’ll arrive at Thira airport and then head to our accommodation, overlooking Santorini and the Aegean Sea. This is one of the most famous islands in the world. A place of great sophistication and natural beauty, you’ll fall in love with the beaches, sunsets, hot springs and wineries. There’s no better place to relax, drink wine and enjoy life than Santorini. You won’t want to leave Santorini, but arriving in Mykonos will soften the blow. 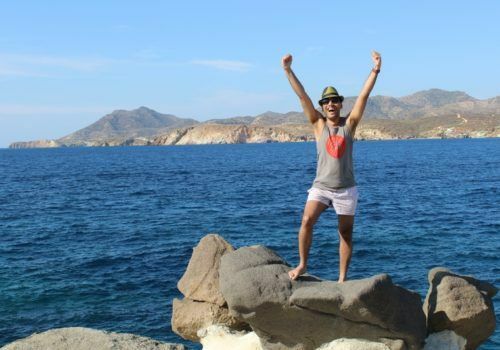 This island has a famous gay scene, so there’ll be plenty of bars to explore. You’ll also see some of the great ruins of antiquity. Mykonos is cosmopolitan and popular with travellers – there’ll be plenty of interesting people to meet. We’ll return to the capital to finish our trip. You’ll have the chance to do some shopping, check out some museums, explore the nightlife and cuisine. Then it’ll be time to say our farewells. If this is your first time in Greece we’re pretty sure it won’t be your last.